District Six was named the Sixth Municipal District of Cape Town in 1867. Originally established as a mixed community of freed slaves, merchants, artisans, labourers and immigrants, District Six was a vibrant centre with close links to the city and the port. By the beginning of the twentieth century, however, the history of removals and marginalisation had begun. The first to be 'resettled' were black South Africans, forcibly displaced from the District in 1901. As the more prosperous moved away to the suburbs, the area became the neglected ward of Cape Town. In 1966, it was declared a white area under the Group areas Act of 1950, and by 1982, the life of the community was over. 60 000 people were forcibly removed to barren outlying areas aptly known as the Cape Flats, and their houses in District Six were flattened by bulldozers. 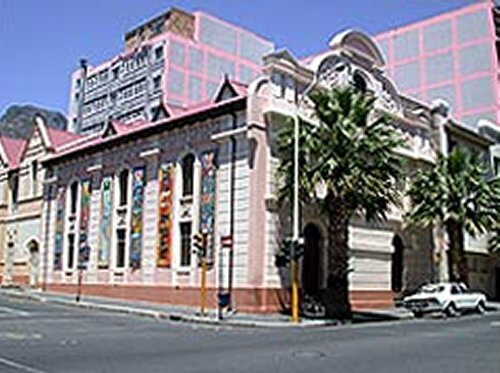 The District Six Museum, established in December 1994, works with the memories of these experiences and with the history of forced removals more generally.